The Body Shop is a British beauty product company. Since establishing in 1976, The Body Shop now has thousands of stores across more than 60 countries. Natura, a Brazilian cosmetics company, now owns The Body Shop brand worldwide. Throughout its history, The Body Shop has been promoting ethical practices and campaigning against animal testing. It sells cruelty-free cosmetics, perfumes, and skincare products. Since items like this are often non-returnable, you may wonder if you are able to get a refund from The Body Shop. Read the advice below to find out. You can return a product to The Body Shop within 28 days as long as you do not open or use it. The Body Shop offers a Money Back Guarantee so you can also get a refund within 28 days if the product is not suitable for use. You can only return products within the country of purchase. Store purchases must go back to a store, but online purchases can go back to stores or by post. If you buy something from a The Body Shop At Home party, then you need to contact the consultant to arrange a return. You can choose to cancel an online order by returning it in full. All return products must be in perfect condition with their original labels and packaging, unless the item is faulty. The fastest and cheapest way to return something to The Body Shop is to take it to their nearest store. In-store returns are free and you can get an exchange if you prefer. To get a refund, you must provide the sales receipt or your delivery note and order confirmation e-mail. If you do not have proof of purchase, then they can only offer an exchange or put the refund value on a gift card. You can return online orders instore even if you paid with PayPal, as the store staff will notify the online customer services team to issue your refund. You can return The Body Shop products to any store as long as it is in the same country. This excludes The Body Shop At Home party purchases. It is also possible to return online purchases to The Body Shop by posting them back. However, you must arrange and pay for the return postage yourself. It is advisable to use a tracked service and keep the receipt. Package the return items securely with a completed returns form. This should have been in the parcel with the original delivery, but if you can’t find it, then you can print out a new returns form. You can only claim a refund for the return postage if you are returning a faulty product. You must specify the reason for your return and whether you want a refund or exchange for each item. Don’t forget to include the order number. Allow up to 7 days for them to receive the parcel. If you receive faulty goods from The Body Shop, whether due to damage or the product not working as described, then you can return them. If items are faulty or incorrect then The Body Shop will refund them and any delivery or return charges. If you opt for an exchange instead, they will not charge you for providing the replacement goods. The Consumer Rights Act 2015 entitles you to your money back or a replacement if the item is not fit for purpose, not acceptable quality, or doesn’t match its description. You should be able to enforce this right instore or online. Once The Body Shop receives your return, they will process it and issue a refund. They will return the amount that you paid for the item to the payment method that you used. It can take 3 to 5 working days for the funds to return to your account, depending on your bank. You may get the refund on the same day if you paid using PayPal. When you partially pay using a Love Your Body Club voucher, you will not receive a refund for that amount, though they may issue a replacement voucher. 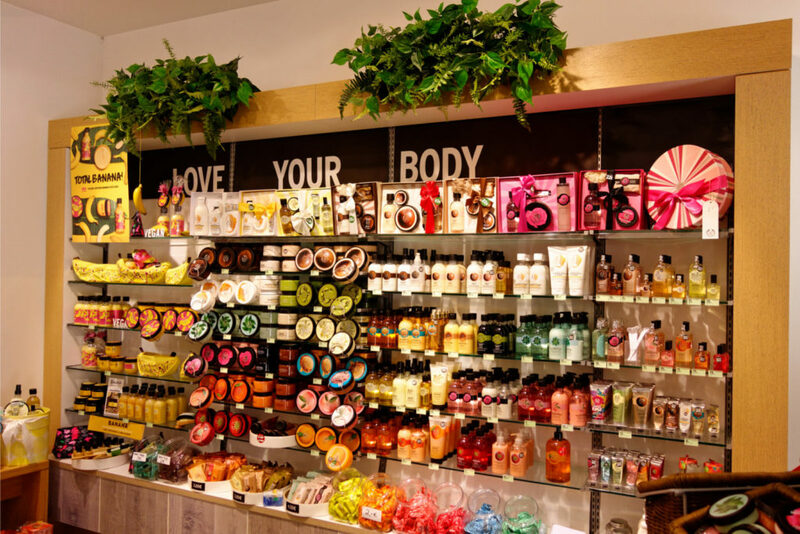 If you earn points for a purchase and then return the item, then The Body Shop will deduct the Love Your Body Club points from your account balance. This could affect your existing Rewards.